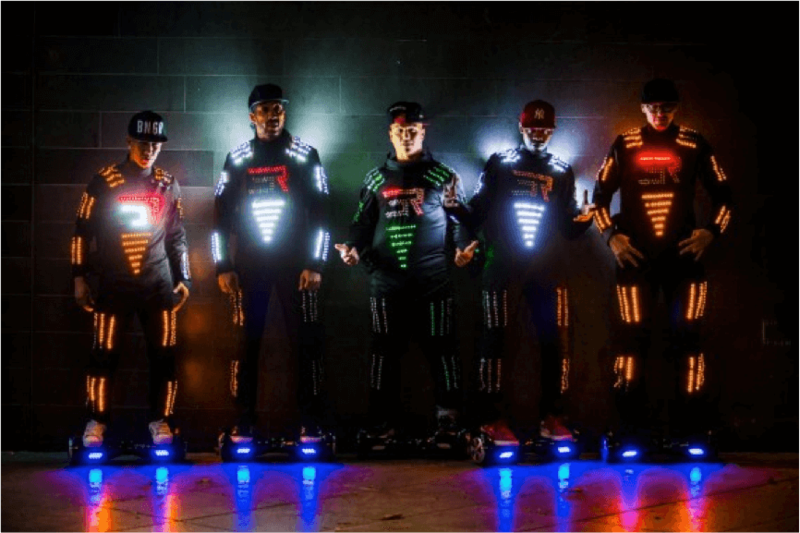 Technology has taken dance choreography to another level and these dance entertainers have most certainly kicked things off to an astounding start, captivating audiences with their high energy absorbing performances, Their LED shows include breakdancing, parkour and Segway choreographed dancing. The dance entertainers are able to perform some very unique dance choreography to any type of music. Their LED shows can range from 5 to 10 minutes. This style of dance choreography is perfect for promotional and corporate events, exhibition displays, product launches, concert stage shows and festival stage performances.